Already have a great home audio system? 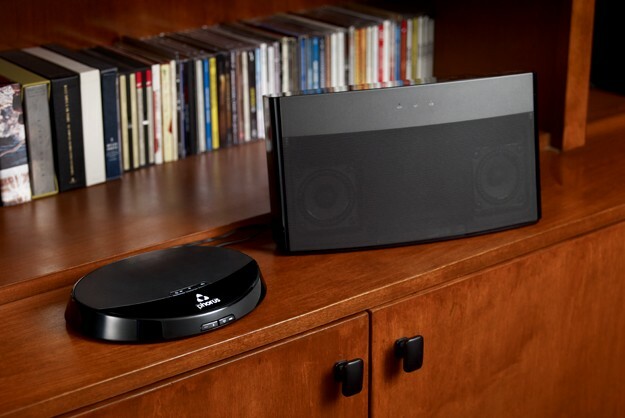 Make it a great wireless audio system. 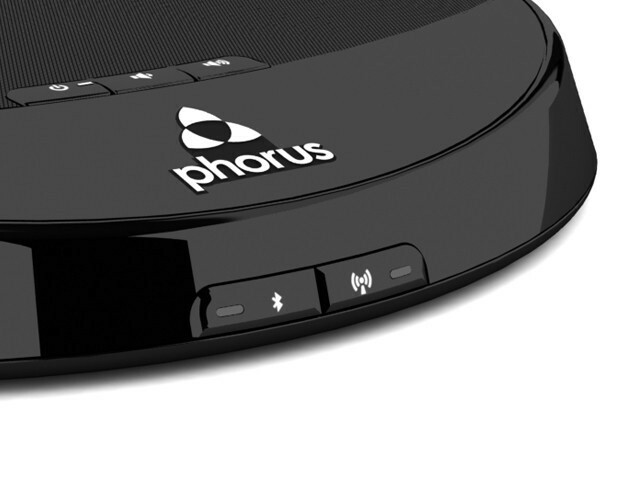 Stream high quality audio from your smartphone, tablet, Mac or PC to your stereo with an elegant Phorus Receiver. The new, award-winning PR5 model includes an upgrade to best-in-class Dual Band Wi-Fi, our most powerful processor, and top quality Bluetooth audio with AptX and AAC. Pure audio in, direct audio out. 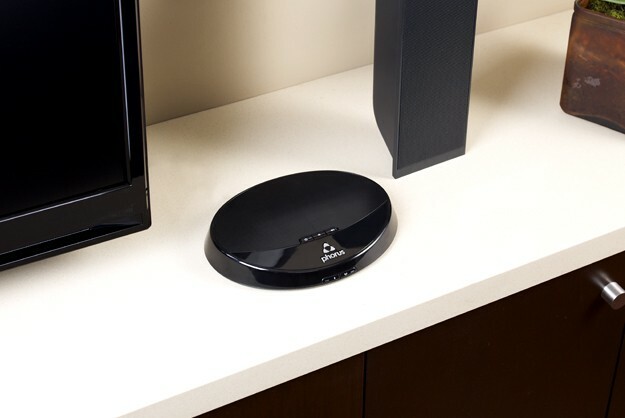 Stream clean, lossless audio from your phone or tablet over Wi-Fi, and the Phorus Receiver outputs it directly to your stereo through the included line-in or RCA connector. We selected top-of the line audio components, including a premium Wolfson DAC, so the sound will do your system proud. For true audiophiles, the system now supports streaming high resolution 24-bit/192kHz FLAC audio files. For more on High-res audio, click here. Using Play-Fi, the Phorus app gives you a world of music options. Choose songs from your local music library, tune into radio stations and podcasts, or pick a favorite streaming service**. Access a connected DLNA music server. 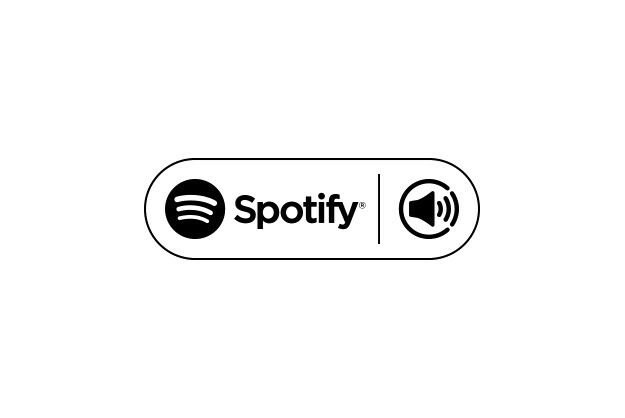 Spotify Premium users can stream to the Phorus Receiver directly using Spotify Connect ®. Using AirPlay or Bluetooth, no app is needed. Just click and stream any music you like! 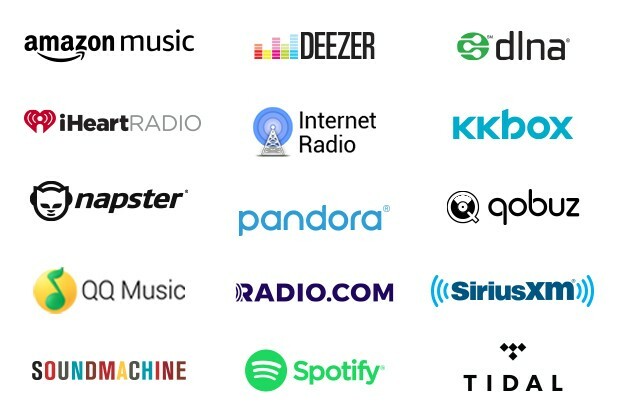 Did you say Spotify? Oh yeah! Spotify Premium users can now stream directly to any Phorus product, right from Spotify! Click the speaker icon, and your Phorus receiver appears. Select one, and enjoy the music. It's easy to launch Spotify from within the Phorus music menu, too, and you can even setup Groups for Spotify so you can stream Multiroom! Rock the house. The whole house. Unlimited choices from your PC. With our PC app the world of music options gets even bigger. Stream audio content from the web or any service that you choose. 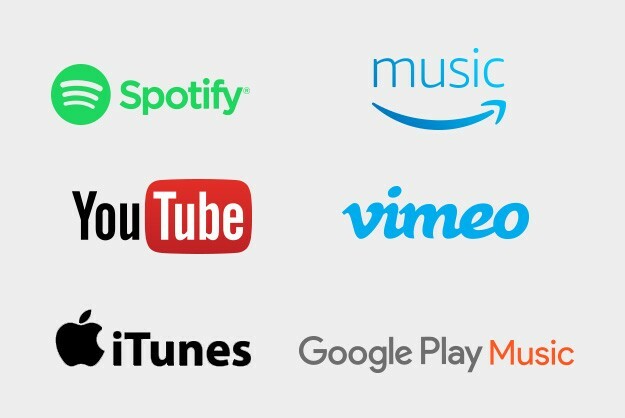 Spotify, Google Play, Amazon Prime, Beats Music, XBox Music...literally the world is your jukebox. Download the PC App here . Average Amazon rating is 4.6 stars! Wi-Fi. Like Bluetooth. But a million times better. You can hear the Wi-Fi difference. 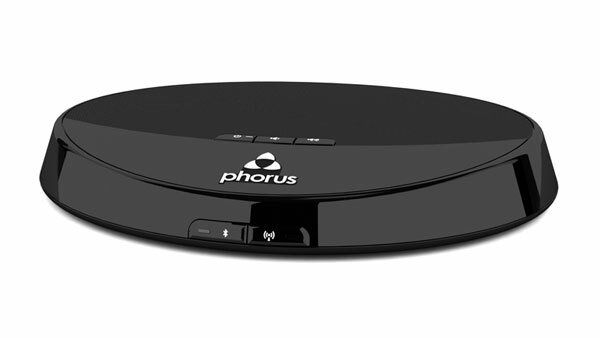 The Phorus Receiver works everywhere your network does, so you can stream to any room in the house. Streams are pure, bit-for-bit, lossless audio, for uncompromised quality sound. The new PR5 features powerful Dual Band Wi-Fi, with 2.4 GHz and 5 GHz options, so you get pristine, uninterrupted enjoyment even in the most cluttered home network environments. Click here to learn more about the benefits of Dual Band Wi-Fi. Includes Bluetooth compatibility, for Windows Phones or other devices and services. And with the PR5 model, Bluetooth audio quality will be as good as it gets with premium AptX and AAC. You can also stream using AirPlay on your Mac, or from iTunes on your PC*. Spotify Connect is an option, too. 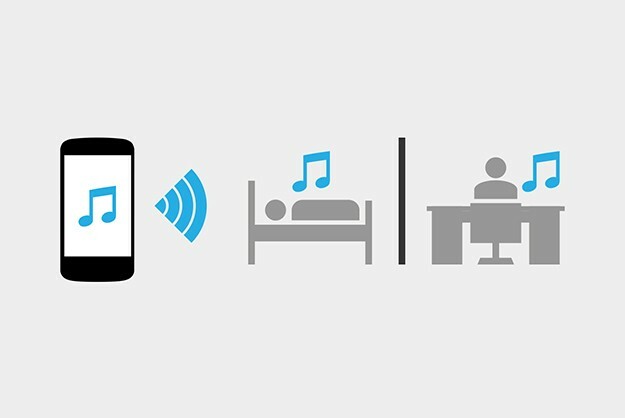 These direct streaming options are perfect when you don't need to use the multi-room features of Play-Fi. Have your whole house rocking in less than 5 minutes, with our no-hassle set up. The free Phorus app for Android, iOS, or Windows instantly connects the Phorus Receiver to your home Wi-Fi network for you. No need to go near your router, fuss with pushing buttons or typing in long IP addresses. Click between the arrows to see the Phorus Receiver from all angles. * Not all services are available in all regions, and certain services are not yet enabled for the Phorus iOS App. Available services for your device and region will be displayed directly in the app when you download it. 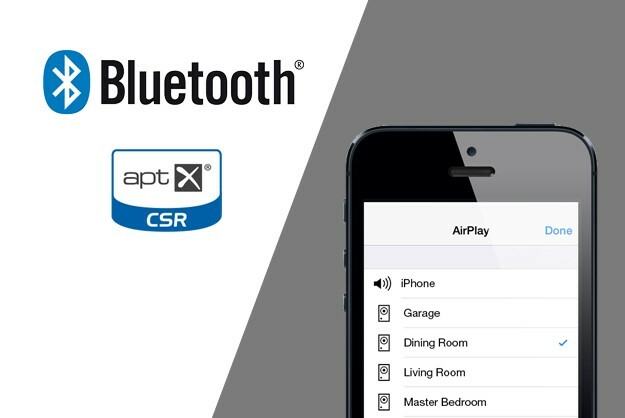 ** Certain features, including multi-room streaming and lossless audio transmission, are not supported in Bluetooth mode. Multi-room streaming is not supported in AirPlay mode. *** Not available on the PS1 Speaker or PR1 Receiver. † Only available in the iTunes application on a Mac or PC. ‡ Only certain PCs and Kindle Fire models support Bluetooth. § Currently limited to the manufacturer's implementation.